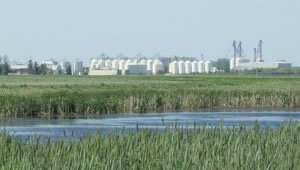 Vandaele Seeds Ltd. is a family owned company that was established in 1988. Our roots in agriculture go back to the early 1900’s when our ancestors arrived from Belguim and settled here to begin farming. The family continues to farm on a large scale today. We look back on our history with pride and look to the future with optimism. Vandaele Seeds Ltd. processes, packages and exports the highest quality seeds and grains worldwide. Our modern facility has three grain cleaning lines, automatic packaging and warehousing facilities. Our stringent quality control program ensures that all grains and seeds are cleaned and sized to our customers exact specifications. We are continually expanding and improving for the future. © 2015 Vandaele Seeds. All rights reserved.